At Kids Yoga Education, our mission is to develop your skills and confidence in teaching yoga to children, from preschool through to secondary school. Kids Yoga Education advocates utilising the tools and practices of yoga for children in various ways. Our yoga teacher training courses are designed to provide structured, high quality lessons in a supportive environment. Participants will learn how to teach yoga effectively to children, in a relatively short space of time. Contribute to the positive growth and development of children, including their physical, mental and spiritual well-being. Suzanne Ellis began her own journey in yoga more than 20 years ago (just prior to the birth of her first child) and has been teaching yoga to kids for nearly 10 years. She currently owns and operates Glenbrook Yoga Space. She firmly believes that yoga is for everyone (regardless of age or body type) and is especially passionate about providing kids with ‘yoga tools’ that can help them navigate their way through childhood and adolescence. Suzanne developed Kids Yoga Education because she is keen to share her skills with others – to build a veritable army of like-minded parents and teachers who can appreciate the value of teaching yoga to children. Suzanne is registered as a Yoga Australia Level 2 Yoga Teacher, a Yoga Therapist and a qualified a Children’s Yoga Teacher (Mini Yogis). Kate Phillips has been practicing yoga for almost 25 years and has been teaching for over 10 of those years. Kate is passionate about bringing yoga to children of all ages, and has completed teacher trainings with Radiant Child Yoga, Zenergy Yoga 4 Kids and now Kids Yoga Education. 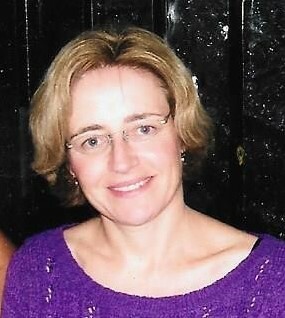 Kate facilitated and developed various programs for family yoga workshops & retreats for many years. She still teaches children and adults on a regular basis holding regular classes in the Blue Mountains under the name of ‘Awakened Heart Yoga’. Kate is also inspired by music, sound and chanting. Recently, she founded Blue Mountains Kirtan & Yoga Events in order to hold monthly kirtan (chanting) evenings for the community as well as hosting inspiring yoga workshops & events. 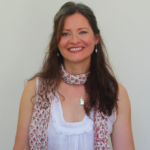 Kate is registered as a Yoga Australia Level 2 Yoga Teacher, and a qualified a Children’s Yoga Teacher .